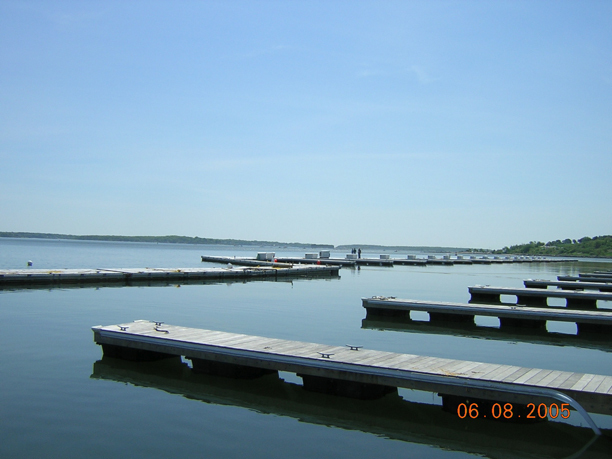 Childs Engineering Corporation was contracted to design a breakwater system for the Maine Yacht Center following a severe nor’easter that had destroyed their floating dock marina. The Marina was extremely exposed to wind and high waves and during the storm and several floats failed while mooring boats alongside. Childs investigated several breakwater types based on cost, constructability and regulatory impacts. The best solution based on those parameters was to install a floating breakwater. The breakwater selected is a bottom anchored, pre-stressed, concrete floating breakwater. The bottom anchor system utilized is the SeaFlex system of elastic rodes to anchor the floats to the bottom with little environmental impact. The system has survived several significant storms to date with little damage.